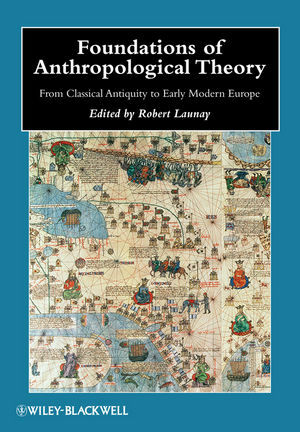 Foundations of Anthropological Theory presents a selection of key texts that reflect the broad range of anthropological thought on human behavior, from Herodotus and Ibn Battuta to Adam Smith and Adam Ferguson. Robert Launay is Professor of Anthropology at Northwestern University. He is the author of Traders Without Trade: Responses to Change in Two Dyula Communities, Beyond the Stream: Islam and Society in a West African Town, which won the Amaury Talbot Prize, and numerous articles on the anthropology of Islam and Muslim societies in West Africa. He has written extensively on both the contemporary and early history of anthropology, and is completing a new book, Savages, Despots, and Romans: The Urge to Compare and the Origins of Anthropology. Xenophon, The Education of Cyrus (selections). Europe – Journeys to the East:. William of Rubruck, Journal of his embassy to the Mongols (selections). Sir John Mandeville, Travels (selections). Ibn Khaldun, Muqaddimah (Introduction to World History), (selections). Bernardino de Sahagun, General History of the Things of New Spain (selections). Alvar Nuñez Cabeza de Vaca, Chronicle of the Narváez Expedition (selections). Bartolomeo de las Casas, The Devastation of the Indies (selections). Garcilaso Inka de la Vega, Royal Commentaries on the Inca of Peru (selections). Jean de Léry, History of a Voyage to the Land of Brazil (selections). Michel de Montaigne, “Of Cannibals”. Jose de Acosta, Natural and Moral History of the Indies (selections). Jean Bodin, Method for the Comprehension of History (selections). La Popelinière, “Letter to de Thou”. Matteo Ricci/Nicolas Trigault, Description of China (selections). Paul Le Jeune, Journey among the Montagnais (selections). Jean Chardin, Travels to Persia (selections). William Dampier, A new voyage around the globe(selections). Sir William Temple, “Of Heroic Virtues”. Bernard de Fontenelle, “The Origin of Fables”. Françoise de Grafigny, Letters of a Peruvian Woman (selections). Lahontan, Dialogue between the Author and a Savage of Good Sense (selections). Diderot, Supplement to the Voyage of Bougainville. François-Joseph Lafitau, Customs of the American Savages Compared to the Customs of the Earliest Times (selections). Montesquieu, The Spirit of Laws (selections). Voltaire, Commentary on the Spirit of Laws (selections). Essai sur les Moeurs (selections). Rousseau, Discourse on the Origin of Inequality (selections). David Hume, The Natural History of Religion (selections). Adam Smith, Lectures on Jurisprudence (selections).